Bangladesh tried its best to save itself from an innings defeat at the hands of the visiting Pakistan - but in vain. Today on the fourth day of the first test match at Chittagong, Pakistan with its earlier first innings 594/5 declared, dumped the hosts with an innings and 184 runs. 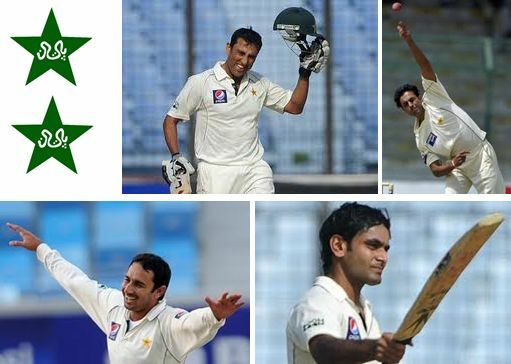 While the victory over Bangladesh is largely attributed to Younis Khan's double century (200 not out) and centuries by Hafeez (143) and Asad (104), the dumping came from the hands of the bowlers who devastated the Bangladehi squad one after the other. Abdur Rehman was the most devastating who bagged 7 wickets ( 3/9 and 4/88), followed by Saeed Ajmal (3/40 and 2/74) and Aziz Cheema (2/33 and 2/40). Younis Khan was declared Man of the Match for his superb 200 not out - the edge he provided for the ensuing victory.